Today’s blog is in honor of our first year of marriage. Tomorrow marks the day of our 1st wedding anniversary and I thought I would take this opportunity to give you, our dear readers, a glimpse at who the 3-fold cord really is. 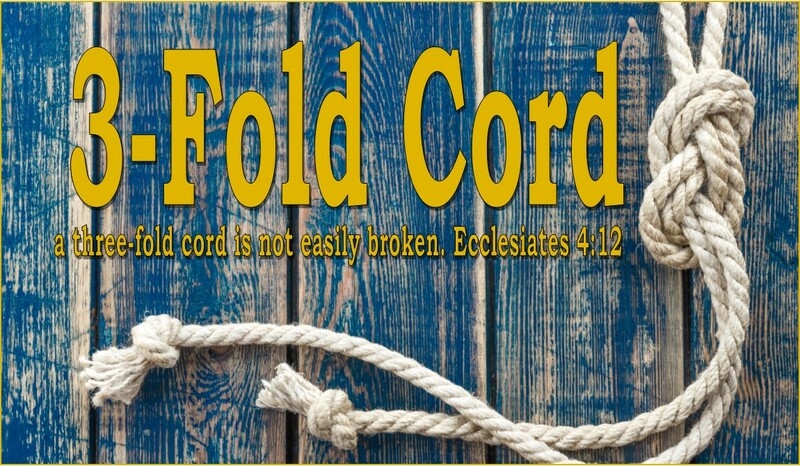 First of all, for those who haven’t figured it out yet, the 3-fold cord is co-written by me (Carla) and my husband Mark. Though it started off as Mark’s blog, I jumped in around February and it has been lots of fun! So anyway, back to that personal glimpse. Here are a few tidbits to how Mark and Carla came to be. We met at work. We both worked at the Boys and Girls Home working with at-risk and mentally ill youth. We worked on different units, but being poor, I picked up a lot of overtime on Mark’s unit. One night (we worked 2pm-11pm) my car wouldn’t start and I had to have it towed. Mark offered to drive me home. I lived 30 miles north in rural South Dakota, he lived 30 miles east in rural Nebraska. He said my house was on his way home. He lied. Mark says if it wasn’t for that fateful car ride home he would have never asked me out. He was attracted to me physically (cause I’m adorable) but thought I might be a doofus. Luckily the conversation that night flowed easily and he decided I wasn’t a doofus and might have actually thought I was pretty neat. Mark asked me out in a text message. I let him sweat for a good 20 minutes while I called my BFF before I responded to his text. Poor guy. On our first date, Mark got lost going to the restaurant. In the town he grew up in. After dinner we went back to his place and watched Donnie Darko. He offered me wine and left the room to go get some. He returned empty handed and told me he had left his corkscrew at a friend’s house. Later I found out the cork had fallen apart in the expensive bottle of wine and he was afraid to serve me wine with cork bits in it, for fear I might think he w as trying to drug me. He dumped the wine. 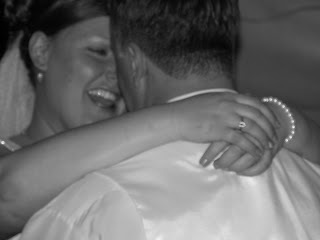 On our second date (the day after our first date- we worked weird schedules) I knew that it was love, for a few reasons. First, he text me and asked what I was doing and I said having soup and drinking coffee, he took this as an invitation to come over. The truth was I was eating crappy Campbell’s soup and drinking really bad Folgers coffee and I had just gotten out of bed and hadn’t showered. So I dumped the soup and cleaned the house pretty quick and tried to make myself look presentable. I pulled back my tangly mess of hair, threw on a sweatshirt and jeans and some perfume, and hurriedly applied blush and eyeliner and brushed my teeth. It was not date appearance material- but he still wanted to hang out with me. Second, because on the way home that night the song The Air that I breathe, by the Hollies came on and Mark said that is exactly how he felt in that moment. This is our, "We're seriously in love" pose. Our second date was unplanned and spontaneous- kind of a wonderful preview of our life together. Mark came over and we had some bad coffee together and then my sister showed up and thoroughly embarrassed me and we left. We went to a cute little coffee shop and had good coffee and a snack.. Then we walked down to a used bookstore and perused their shelves for a while talking about our favorite authors and books. We walked around for a while enjoying the warm fall day and then decided to catch a movie. We bought our tickets early and then grabbed some drinks near by. We watched Texas Chain Saw Massacre. I don’t really like those kinds of movies, but I think Mark knew what he was doing. I spent a good deal of the movie clinging to Mark burying my face in his arm so I didn’t have to watch the gore. This is of course, when I noticed his substantial biceps. I was impressed. The original day Mark was going to propose to me was on my dad’s birthday. I threw my dad a surprise birthday party at the end of May 2009. Mark was going to propose after all the gifts were opened, it was the perfect moment, family members were gathered around my dad outside on a warm spring day. However, my mom, who has Alzheimer’s chose that moment to have a tantrum, so my sister and I went inside to calm her down, while Mark showed everyone my ring- unbeknownst to me. Jerks. He finally really proposed on a Sunday in early July. Mark and I were determined to have a unique wedding that displayed our personalities as well as our commitment to Christ. For the most part, we enjoyed planning the wedding, but there were a few moments of stress- like the invitations. And the week of the wedding we barely slept at all because of all the preparations. We would suggest to anyone, if you can afford a planner, hire one, so you can get some sleep. 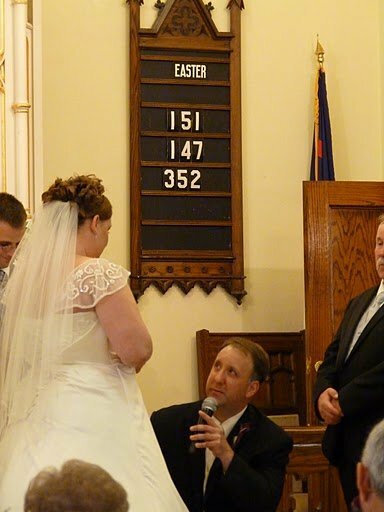 We married in a country Lutheran church a mile from my parent’s home. You can look across the field and see the church from my parent’s house. Our pastor from our church in Vermillion officiated the service. We had a reception in a giant tent on my parent’s acreage. We were given the freedom to design our own service. We combined some traditional Catholic traditions with more contemporary Christian ideas. During worship the songs we used were: Inside Out, Amazing Love, and The Power of Your Love. It was a very powerful moment. We also had the hymns: Gather Us In, Prayer of St. Francis, and Here I am Lord. I am a loud church singer, and always have been. 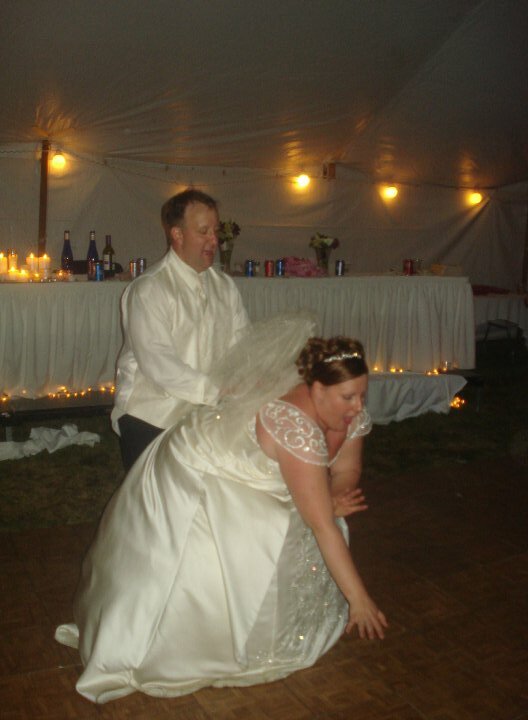 I didn’t see the need to change this for my wedding ceremony. 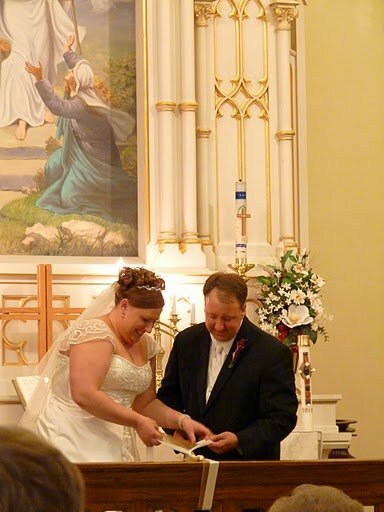 So there are many pictures that people took of Mark and I standing at the altar and my mouth is wide open. When I first started embracing the Bible as the true Word of God I ignored Ephesians 5 because it made the feminist inside me uncomfortable. God spoke to me many times on this and it has become one of my favorite verses. Ephesians 5: 21-33 was the second reading. The first was Genesis 2:18-24. We asked our pastor to do a salvation message during the sermon. 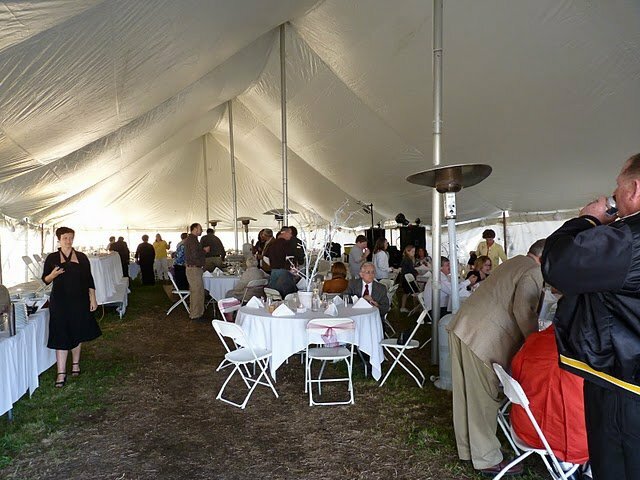 During the receiving line and reception we had numerous people tell us about their relationships to Christ or how they recommitted that day. We also know of 2 salvation’s that occurred that day and have seen the changes spring forth in these two. I really don’t think there was a dry eye in the house. It was a very emotional service. I cried walking down the aisle. 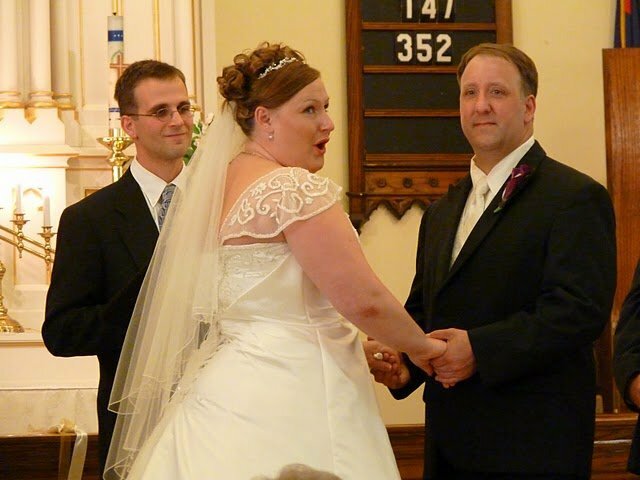 My matron of honor (my BFF) looked away from me to Mark and saw he was crying to, which set her off. She whispered to my maid of honor (my sister), “Rookie, mistake! Don’t look at Mark!” At which point my sister looked at Mark, looked at my BFF, and laughed at them. 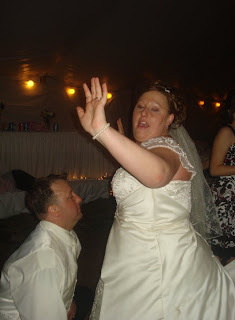 You can see all this happening in our wedding video. So there was at least one set of dry eyes. 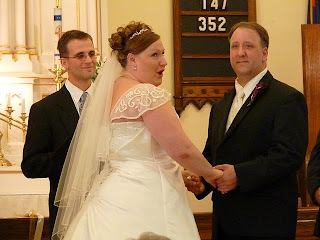 Mark and I recited traditional vows and wrote our own. Mark memorized his, mine were on a piece of paper tucked into my sisters dress. I rewrote my vows legibly at the salon the morning of the wedding, after my hair was done, while my bridesmaids were getting their hair did. Carla, I kneel down before you today and my reasons are 2 fold. First of all I kneel down to you in pure love, the type of love that Jesus Christ has shown me and pure love that almost makes me feel unworthy of such love. But I’m so overjoyed. So overjoyed. Secondly I’m kneeling down because I’m afraid if I would say these words standing I would fall to the floor anyway. Three and one half years ago to the very day we had our first date. And that first date left me with a feeling, a sick wonderful feeling. Fast forward three and a half years later and that feeling is still there. Just like it says in the Song of Solomon, I am sick with love for you. So while I love the traditional vows to love, to honor, to cherish and I take them and vow them earnestly. But the reality is I do not have to vow what comes so naturally to me. Loving you is like breathing. I do not have to think to breathe, it is just a part of me. These words will echo, louder than these church bells today; after the procession, after this ceremony these words will echo. Thank you for having me, I love you. While I remained standing, these are the vows I made to Mark. Mark, I love you so very much. There are an unending amount of reasons why I love you. I love you for the man you are, and the man you are becoming. I love you for your compassion and sensitivity. I love your commitment to following Christ and you passion for spreading His love. I love your humor and how much fun we have together. You are my best friend. I love how your love has changed me, challenged me, and made me a better person. I love how under the gaze of your eyes you have made me feel like the most beautiful woman alive. I am so excited to embark on an adventure with you and our Lord. I will follow wherever Christ leads us and I will support your endeavors of serving the Lord, and I will always stand beside y ou, in every situation. I will laugh with you and I will cry with you. And I will be steadfast in faith and love. I promise to remember you love me no matter how stressed or troubled I am and to always know that at the end of the day, your love is enough. I promise to let my love for you be an outpouring of Christ’s love for me. I promise to always make Christ the center of our marriage and to derive true joy from the love of Jesus- which will fill our life together. With each passing moment I fall more in love with you. I promise to spend this day and every day hereafter, holding your hand and walking with you in the light of Christ. During our ceremony, because we love the 3-fold imagery we had a unity cord. It was 3 ribbons and after lighting our unity candle we braided the ribbons. The unity cord was really my idea and I assured Mark I would just hand him ribbons and braiding was a cinch. We should have practiced, it was more difficult than it seems. But it was funny. My sister said it was the best part of the ceremony cause it was so us. We lit the candle and braided the cord to the song “Where you go” by Brian and Jenn Johnson. I love that song. 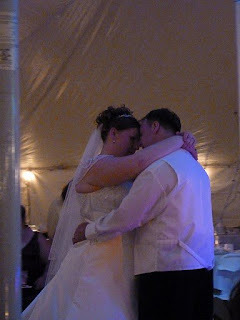 We walked into our reception to one of our favorite songs, Soul Meets Body by Death Cab for Cutie. Our first dance was to Third day’s Born Again. 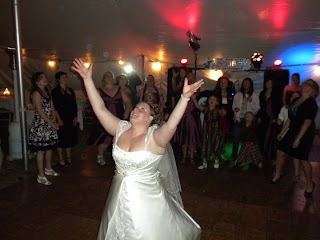 Our wedding party dance was The Hollies’ song The Air that I Breathe. Our wedding colors were plum and sage, or to men purple and green. Did I forget to mention we like to party? I have now bored you with my swooning for many many pages. 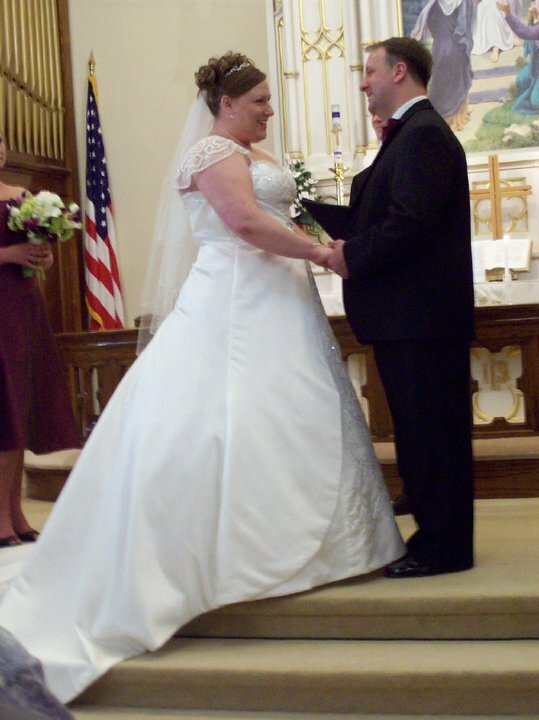 I hope you enjoyed a more personal look at Mark and I. I am a very blessed woman to have such great love in my life. My husband dotes on me and gives me more foot rubs and attention that I could ever deserve. This year has flown by and we have so enjoyed being together and growing closer to Christ together. 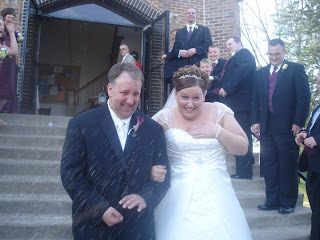 Mark, I love you so very much, and am so glad you are my husband and I look forward to 50+ more years with you! What special memories do you remember about your wedding day? Or your early dating life? 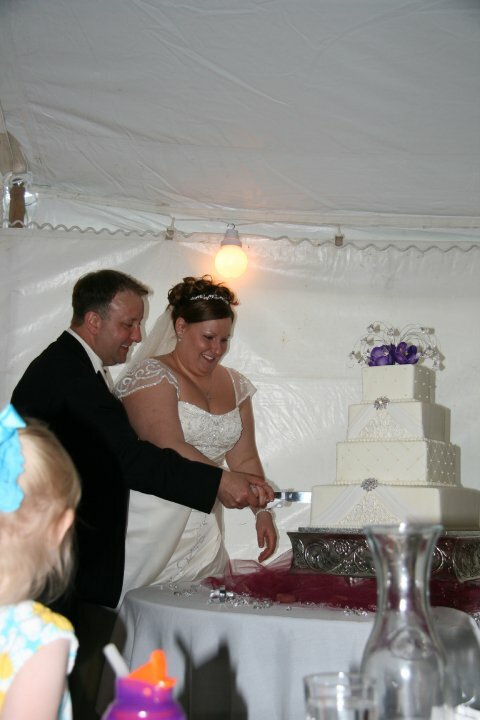 How do you celebrate your anniversary? I remember taking the time to go on a hike with my parents the morning of my wedding, and I remember driving there watching the clouds roll in from the mountains. You could see it advancing mile by mile. Oh no, did it rain on your wedding! I can't believe you went on a hike the morning of your wedding, I was in the salon by 8am! Congratulations on reaching this first milestone in your marriage. Wishing you many joyful years ahead. Thank you very much God bless you and yours! Thank you very much for you comment! God bless you and yours! Keep commenting! Thank you Charlie for taking the time to comment. We love your blog! Thank you for your kind regards! Blessings to your and yours! Congratulations Mark and Carla, I hope you had a truly special day yesterday. 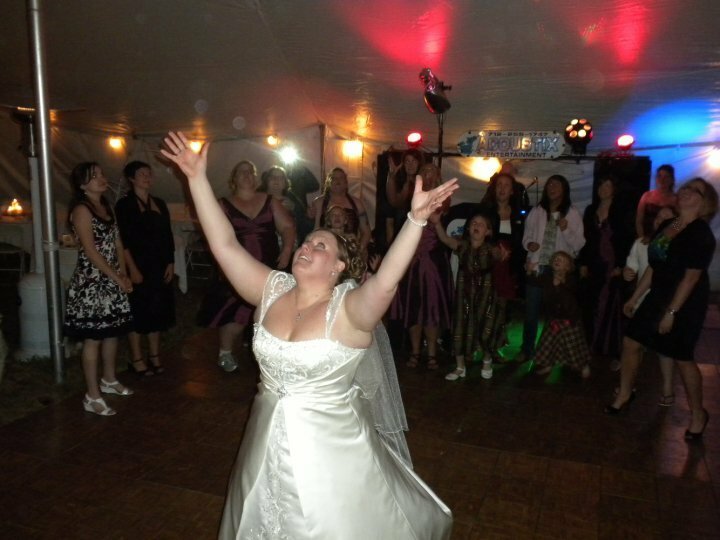 Great photos too - my favourite's the bouquet toss. Congratulations guys! It is always great hearing about how Jesus both brings together and holds together.